It seems that one of the secrets to finding the cheapest airfares and booking the best low cost flights in 2019 is to compromise on check-in baggage. With international airlines introducing hand-baggage only fares for basic economy and targeting economy travelers for their reduced check-in baggage limit, you may have to choose between the lowest airfare and two pieces of check-in baggage. Joining the bandwagon of cheap fares vs check-in baggage on select international routes is Emirates Airlines. The latest news about Dubai-based Emirates is the new fare-specific check-in baggage limit for economy travelers. The 50% cut on check-in baggage allowance for the ‘special’ type or category of Emirates’ economy class fares will come into effect on February 4, 2019. Sadly, Emirates Airlines’ US-India flights are not exempt to the 50% reduction of Emirates’ check-in baggage allowance in the ‘special’ economy fare category. To be precise, bargain hunters booking Emirates’ cheapest economy tickets from USA to India on or after February 4 will take a hit. Emirates provides one-stop access to nine major Indian cities via Dubai from Boston, Chicago, Dallas, New York, Newark, Houston, Los Angeles, San Francisco, Orlando, Fort Lauderdale, Seattle, and Washington DC. Emirates Airlines offers four types of economy fare – Special, Saver, Flex and Flex Plus – which most travelers are not in the know of. Flex Plus is the most expensive of all economy fares for Emirates flights, while Special comprises of Emirates cheapest economy flight tickets. 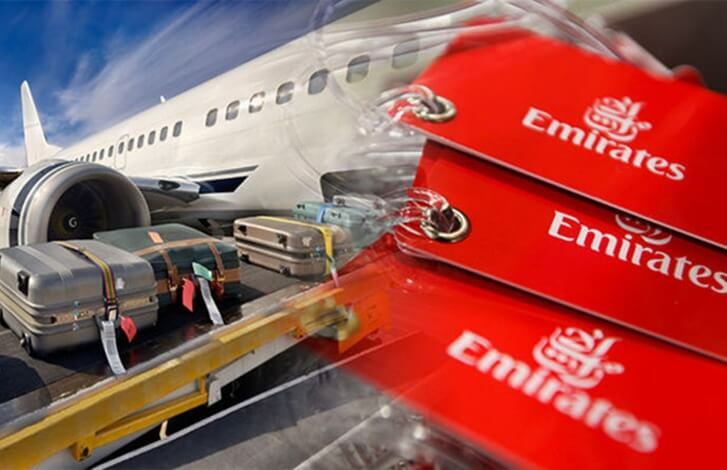 The 50% cut on Emirates’ economy baggage allowance applies to the ‘Special’ fares to and from the Americas. The same applies to the ‘Special’ and ‘Saver’ fare types for Emirates flights within the Americas. If you happen to book the cheapest Emirates flights from USA to India or from India to USA in the ‘Special’ economy fare category on or after February 4, you will be allowed to check in only one bag weighing up to 23 kgs. However, things seem worse than Emirates’ reduced economy baggage limit for those having itineraries from Australia or Asia to North America or South America, with a Dubai layover longer than 24 hours. If your India to USA flight on Emirates includes a 24-hr or longer layover in Dubai, the weight concept of Emirates’ economy baggage policy will apply to the entire itinerary. Recently, Emirates has revised its weight-based baggage allowance for the economy class, which will apply to flights originating or ending in Dubai, or the above-mentioned itineraries including a Dubai stopover longer than 24 hours, if booked on or after February 4. As per the revised weight concept of Emirates’ economy baggage allowance, only 15kg, 25kg, 30kg and 35kg are allowed in the Special, Saver, Flex and Flex Plus fare categories. If your flight originates in the United States and the first leg of the itinerary is not operated by Emirates or it does not have an Emirates flight number, different check-in baggage rules apply as per the interline baggage policy. Next time, do make sure to check the baggage details of itineraries before booking your economy flights with Emirates, especially if you choose from the cheapest fare deals of the day on IndianEagle.com or some other portal. Fare-based baggage allowance and fare-based categorization of the economy class are the latest trends in air travel. In 2018, Etihad Airways rolled out fare-based check-in baggage allowance for economy travelers. Unlike Emirates, the check-in baggage limit was cut only by 5 kg for Etihad’s cheap economy flight tickets. Notably, British Airways was the first international airline to have introduced economy class divisions with fare-based boarding preference for all routes in its global network.